Understanding Your Human Nature Becoming The Best Ever New You! You don’t have to immediately become a hero endowed with control over time and equipped with a growth mindset. But passionate lectures from a guru of psychology – Professor Philip Zimbardo – will mean that you can begin to think about it. And it will then only be a few steps from there to your goal! 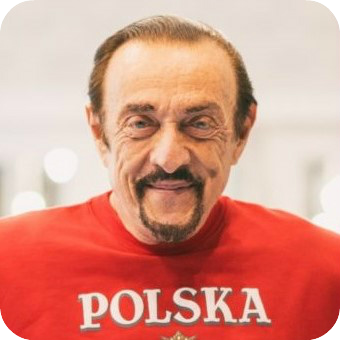 Philip Zimbardo is known even by people whose knowledge of psychology is just that such a branch of science exists. And even if they have not heard of this world-renowned American psychologist, lecturer, writer and social activist, they are at least familiar with media reports of the Stanford Prison Experiment, which he conducted in 1971. Those educated in the humanities or with such interests have probably had in their hands a book, translated into many languages and widely available, called “Psychology and Life”, whose co-author was the Professor. His other books of “The Lucifer Effect. Understanding How Good People Turn Evil”, “The Time Paradox” and “Man (Dis)connected” have also received great publicity, as has the “Heroic Imagination Project” social program. Unsurprisingly, Professor Philip Zimbardo mixes the curiosity of a researcher with the temperament of a popularizer and is not the type of scientist who remains inside the walls of an institution. The knowledge and experience of the Professor are of great value for managers in corporations, creators of start-ups and, in fact, for everybody open to knowledge about themselves, others and inter-personal relations. What can be expected after the lectures? Above all – inspiration. Subjects for independent consideration. Views which will cast new light on the reality surrounding us. To a certain degree: specific advice. In general, you should not expect a prepared recipe. How to become an everyday hero? How the secret power of time influences your destiny? Man (Dis)connected – Why are young men in crisis? Man (Dis)connected – What can we do about it? How to create a growth mindset? Create and strengthen positive attitudes in your surroundings and in your work. Manage your time effectively also, within your team and organization. Understanding the new generation on the labor market. Develop your personal potential and potential of your co-workers. Zimbardo begins his story with the nature of evil, which fascinated him in the earliest periods of his scientific career. He recalls the Milgram experiment in which ordinary people under the influence of authority were ready to submit others to deadly electric shocks (of course, this only concerned suggested scenarios). 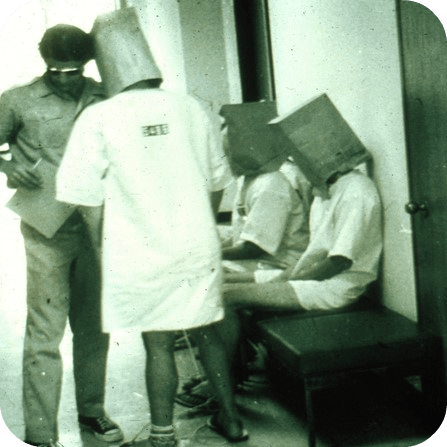 He discusses in detail his Stanford Prison Experiment, in which he showed that defined conditions may change normal healthy people into sadists with no inhibitions. …to the promotion of heroism! In the Stanford Prison Experiment, Zimbardo was successful as a researcher, but failed as a person by allowing the escalation of violence in the name of science. This brought about a deep change inside him and a turn towards an interest in daily heroism as a way of countering evil. This is not about great actions, but rather (not-so-) ordinary good deeds: acts of civil courage, critical thinking concerning principles encountered which are not always fair, as well as the disapproval of common indifference. The “Heroic Imagination Project” that he initiated and which is conducted throughout the world aims at creating domestic, school or business environments which bring out the best in people. Zimbardo assumes that, just like evil, heroism has a domino effect. In connection with this, he presents 10 steps which allow us to train as role models and to be satisfied by life. It’s good to take advantage of your time! How to lead a happier and more successful life in an individual sense is treated in a mini lecture about the balanced perspective of time. This tale, with its beginning of therapy for people with post-traumatic stress disorder, is so fascinating that there is no harm in revealing its ending. To put it simply, the answer is: in front of their computers, closed inside their rooms, in their parents’ homes (and most frequently with their single mothers). Something has gone wrong in the last decades, believes Philip Zimbardo in the next block of topics, that all over the world the group of socially isolated men has increased. Unlike resourceful women – they are unable to cope at school, at work and in their private lives. In addition to this, they are frustrated and full of bitterness towards their surroundings, they believe they are victims of the system and, putting it mildly, are a burden not only for their family and friends. This alarming diagnosis, based on statistics, provides food for thought and may be the key to understanding the new generation of workers. It is definitely also worth considering the implementation of actions proposed by the Professor in business organizations. The last lecture is dedicated to the idea of Dr C. Dreck, which has grown in popularity recently as can be seen in job advertisements. The “growth mindset” desired by employers is a positive, dynamic attitude towards the development of your own capabilities (and those of others). Its opposite is the “static” attitude of a “fixed mindset”, which is expressed in the statements “I am who I am, I can not beat myself; I can not control this or that” etc. Science confirms the incredible ability of the mind, which is a sufficient argument behind the belief in the power of the “growth mindset”. Professor Zimbardo advises you how to overcome barriers that are in the way of developing such a mindset. Of course, he avoids such naïve expressions as “you are a winner, you can do everything”. Behind “all” of this is the willingness to face challenges, work hard, draw conclusions from mistakes and make further attempts. With such assumptions, the statement that “we can not do something” should really end with the word “yet”. Leaders Island’s mission is to share good experience among people. For this reason, we are honored to present the new program “Understanding Human Nature”, in which Professor Philip Zimbardo is sharing his knowledge and experience, based on over 40 years of activity in social and scientific field. Professor’s initiatives e.g. Heroic Imagination Project have usually common denominator- reflect on ourselves and enhance the quality of life. I am sure that insight into Professor Zimbardo’s scientific achievements will be valuable for every listener. In recent times came up some questioning comments about the simulation conducted in the laboratory of Stanford University. It is why I encourage you to take for consideration Professor’s response for this criticism Philip Zimbardo’s Response to Criticism of the Stanford Prison Experiment . It is worth to learn more about it and make up your mind about it. In Leaders Island we treat results of the experiment, theory and Professor’s experience as a good opportunity to reflect on ourselves. It is important is to look at a person as a human being first, then as a leader. Then on the basis of acquired competencies you can perform effectively in the social and professional way. I encourage you one more time to go deeply to the nature of humanity just to understand better yourself. You can listen to the training whenever or wherever you want to, as it is available on audio mode. See what participants of the training say! It was a great honor for me and a great pleasure to meet the man, that has such a big impact on how role models influence us in our everyday lives. At the same time, it was a great opportunity to learn about various great initiatives, which although less known, are particularly valuable in today’s digital age (time paradox, heroic imagination project, etc.). 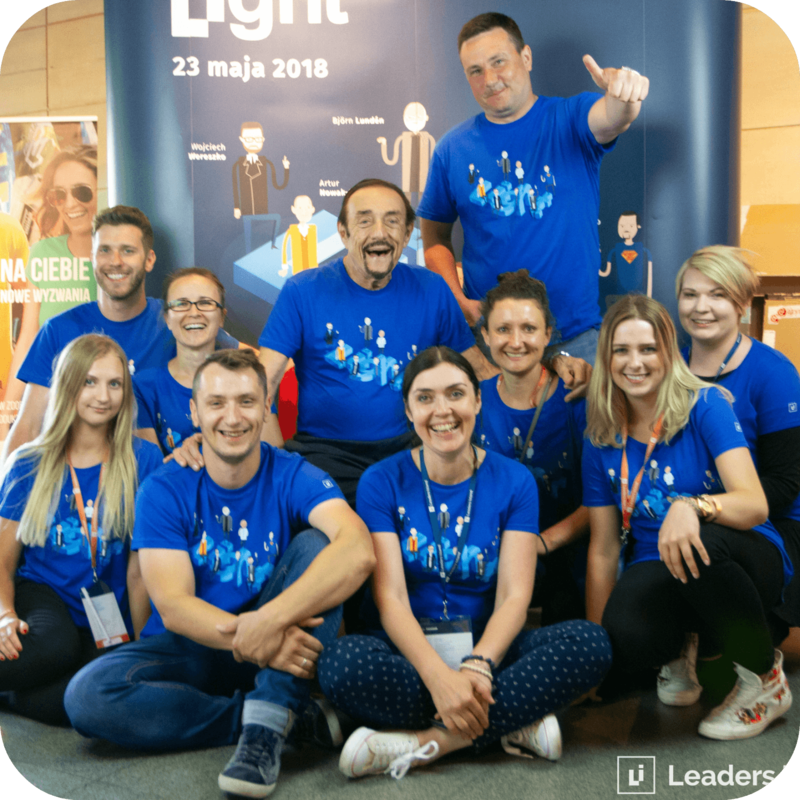 The Heroic Imagination Project, whose originator and founder is Professor Zimbardo, has now come to Poland and is implemented by Agnieszka Wilczyńska, Ph.D. – a great initiative that I hugely support! You are a step away from development! Don’t hesitate and enrol today for the „Understanding HUMAN NATURE” course. 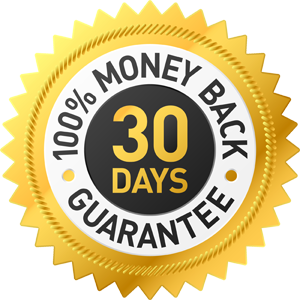 We want you to be totally satisfied with your new skills obtained during our training, therefore we are very happy to offer a 30-day money back guarantee.